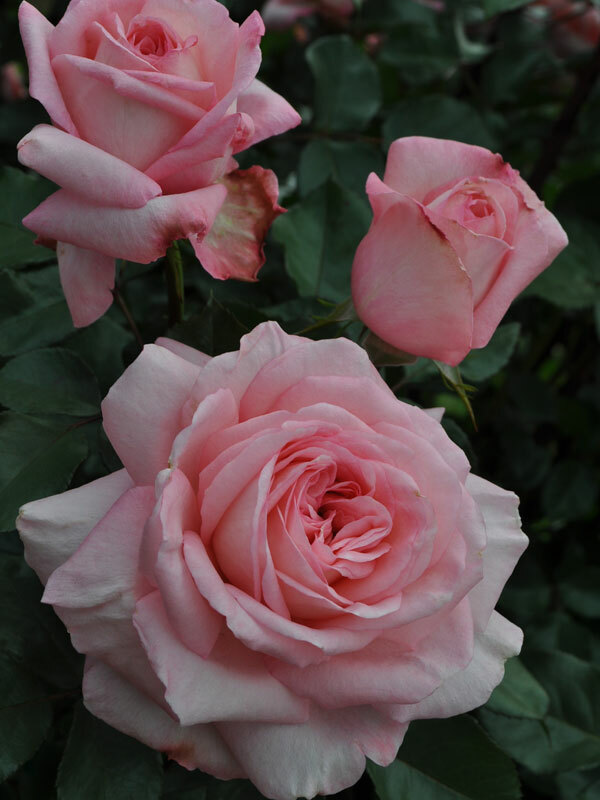 ASHEVILLE, N.C. – An international jury of rose experts awarded “Savannah,” a dusky pink rose bred in Germany, the George & Edith Vanderbilt Award for Most Outstanding Rose/Best in Show during the third annual Biltmore International Rose Trials competition on Saturday, May 30. Growers, distributors and all-around rose appreciators joined the jury for the event, the culmination of two years’ growth of roses submitted by breeders in 2013 to be cared for and tested by Biltmore’s expert gardening team. Rose breeds from the U.S. and several other countries made it through preliminary judging rounds for Saturday’s final contest, held at Biltmore’s 120-year-old Rose Garden. “Savannah” is bred by Kordes Rosen in Germany, and also captured the categories for Best Hybrid Tea and Most Fragrant. Two roses bred by Bill Radler took three categories. Radler is creator of the breed called Knock Out Roses, well-known in both home gardening and professional landscaping circles. Pat Shanley, international jury member and president-elect of the American Rose Society, said trials like these provide an opportunity to not only admire the beauty of roses, but to eradicate the long-thought notion that roses are difficult to grow and need to be treated with pesticides. The roses trialed at Biltmore’s contest are bred especially for the casual gardener to grow and nurture. The trial roses are on display amid rose specimens that have been growing in Biltmore’s Rose Garden for more than 100 years. Guests at Biltmore are welcome to stroll through and judge for themselves. Here are all of the winners of the 2015 Biltmore International Rose Trials. A photo gallery of all of the winning roses is available here. · The Edith Wharton Award for Best Floribunda: “Tequila Gold,” bred by Meilland in France. · The Honorable John Cecil for Open Group: “Popcorn Drift,” bred by Nova Flora, a breeder in West Grove, Pa.
· The Gilded Age Award for Best Climber: “FlyingKiss,” bred by Ping Lim, based in Portland, Oregon. · The Chauncey Beadle Award for Best Shrub Rose: “Peachy Keen,” bred by Bill Radler, of Milwaukee, Wisc. · The William Cecil Award for Best Growth Habit: “Phloxy Baby,” bred by Bill Radler, of Milwaukee, Wisc. · The Lord Burleigh Award for Most Disease Resistant: “Peachy Keen,” bred by Bill Radler, of Milwaukee, Wisc. Located in Asheville, North Carolina, Biltmore was the vision of George W. Vanderbilt. Designed by Richard Morris Hunt, America’s largest home is a 250-room French Renaissance chateau, exhibiting the Vanderbilt family’s original collection of furnishings, art and antiques. Biltmore estate encompasses more than 8,000 acres including renowned gardens designed by Frederick Law Olmsted, the father of American landscape architecture. Today, Biltmore has grown to include Antler Hill Village, which features the award-winning Winery and Antler Hill Farm; the four-star Inn on Biltmore Estate; Equestrian Center; numerous restaurants; event and meeting venues; and Biltmore For Your Home, the company’s licensed products division. More information is available at www.biltmore.com or by calling 877-BILTMORE.